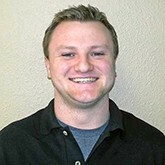 Indium Corporation announces that Tim Hults has joined their team as technical support engineer for Global Accounts. He is based out of the Indium Corporation Global Headquarters in Clinton, NY. Hults is responsible for providing leading edge technical support to Indium Corporation's global customer accounts by making material recommendations, helping with process optimization, and troubleshooting problems. He will assist global and regional account managers in the development and execution of strategies for the maintenance of existing accounts and the growth of new business. Hults has more than five years of experience in the electronics industry. He recently worked as a field service engineer at Koh Young where he provided technical support and training to electronics manufacturers for the company's line of solder paste and automated optical inspection equipment. Hults earned his bachelor's degree in manufacturing engineering from the Rochester Institute of Technology (RIT) and has completed IPC-A-610 certification. He resides in Oneida, NY.